Emotional Healing: Confessions of a Love-Not Junkie. From a personal block, I feel no love, feeling no love to inner healing. Keys to healing emotions. Confessions of a Love-Not Junkie. Tomorrow - the launch of Love-Not Junkie which deals with one kind of emotional block, one personal Mount Everest. But first - what are your Mount Everests? I've been dealing with three of mine. The first was a personal block against feeling love. The second was an inner taboo against speaking about this. The third had nothing to do with love. Mount Everest. I've read Into Thin Air - oxygen masks, sudden crevices, severe frostbite, sudden storms, death by exposure. If you were watching this mini-launch, you wouldn't see anything like that. You'd see someone stumbling through opening a Paypal account and getting started with the easiest of e-commerce sites. Other people zip through stuff like that. It isn't quite like Mount Everest, actually. I feel more like someone faced with a car stuck in a snowbank during a blizzard. Six feet of snow on the ground and more falling. Lots of shoveling to get the car free. Wind and snow in the face. Why, you many ask. Why does it feel like that? 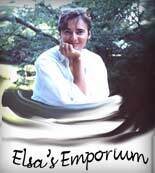 After all, there I am, with a site, a considerable site, about 40,000 page views a month. Somehow I'm breaking an inner taboo - selling something I've made. I've long said that it's a good thing that I've never been on the negotiating committee of my teacher's union. Many other teachers feel underpaid. I've always felt very well paid. So you wouldn't have wanted me negotiating! Teaching - that felt right for me. It's the pay part where I blocked. Inside me I went, Wow, could my work really be worth that much??!! The thou-must-not-charge demon has been in full swing in this launch. What are your Mount Everests? And what do you do when faced with them? Anyway, here's a free video on how to access more chi. PS. Anyway, once again, here's the link to a free video on how to access more chi. PPS. By the way, the link to the chi exercises is an affiliate link - meaning I'm recommending them to you, and if you should buy anything, I get something. a personal journey from I feel no love. buried love, buried feelings, buried treasure. 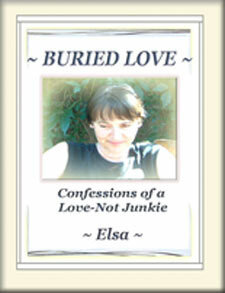 Emotional Healing: Confessions of a Love-Not Junkie. From a personal block, I feel no love, feeling no love to inner healing.